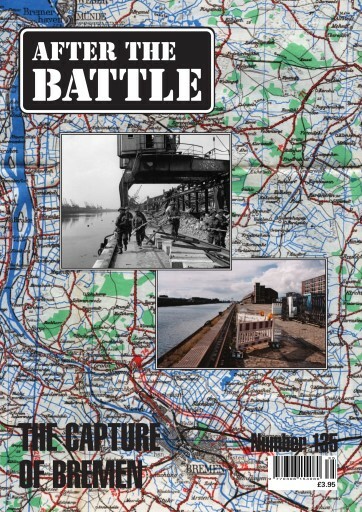 THE CAPTURE OF BREMEN - The north-German port of Bremen was one of the last great cities to be taken by the British Army in the European campaign, being captured in the last week of April 1945. 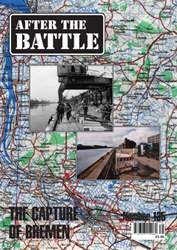 Karel Margry describes how the city fell to a two-fold attack by three infantry divisions, supported by tanks and special armour, and aided by a massive tactical bombardment by nearly 800 aircraft of RAF Bomber Command. Pickett/Hamilton Fort Recovery Robin J. Brooks tells how a prime example of Britain's wartime anti-invasion defences was dug up from RAF Manston (recently renamed Kent International Airport): a retractable pillbox for airfield defence which was known as the Picket/Hamilton Fort. The Secret Tunnels of South Heighton From June 1940 to August 1945 the Guinness Trust Holiday Home, a large mansion on Heighton Hill outside Newhaven in East Sussex, served as a Royal Navy headquarters establishment known as HMS Forward. Here, in 1941, a top-secret naval intelligence centre was set up to monitor all marine movements and hazards such as hostile aircraft off the Sussex Coast. Geoffrey Ellis describes how a large underground complex of tunnels was excavated in the chalk-rock hill on which the house stood to provide its staff with a safe and bomb-proof working area. The Tommy Roberts Story Gail Parker tells the story of Thomas 'Tommy' Harbaugh Roberts, born in Elkhart, Indiana, on May 6, 1916, who joined the USAAF and was posted to the South Pacific where he joined up with the 2/16th Australian Infantry Battalion and his actions earned him the Silver Star, awarded posthumously to his father after the war.